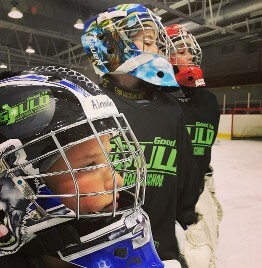 The Goalie Mentoring Program will be an exclusive feature of Good As Gould Goalie School. With our program, high-level youth goaltenders will partner with a younger player and work individually with them for a lower rate. For more information, including price and available appointment times, please call Stu at (630) 753-9645. Private goalie lessons are not available during summer goalie camps.